Glentoran FC is at the forefront of online media in the Irish League. With a modern website this is your chance to promote your company or business to thousands of people per week. Glentoran.com regularly gets over 7000 views per week. From January 2017 - January 2018 Glentoran.com generated nearly 500,000 hits. Glentoran.com is offering 2 advertising options for the 2017/18 season. Option 1 – Become a website advertiser. As a website advertiser your ad will be placed on the homepage of Glentoran.com for the 2017/18 season. Anyone who visits Glentoran.com will see your ad. Your ad can be linked anywhere you wish, your website, email, Facebook page etc. 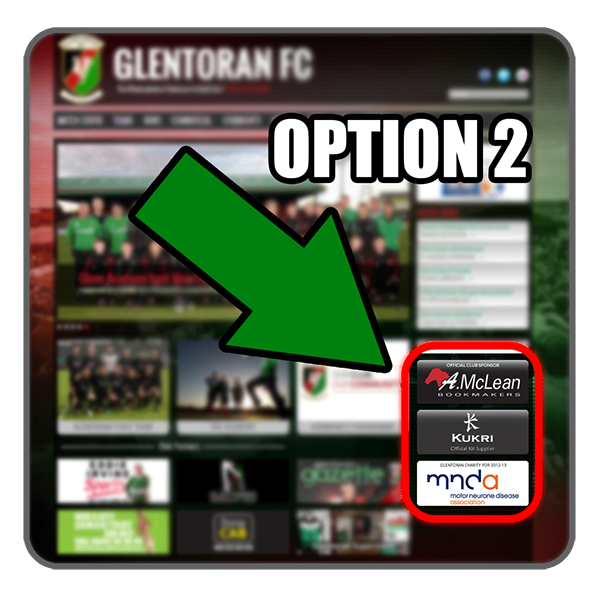 Ads can also be published on the Glentoran facebook and twitter accounts. Option 2 – Become a website partner. 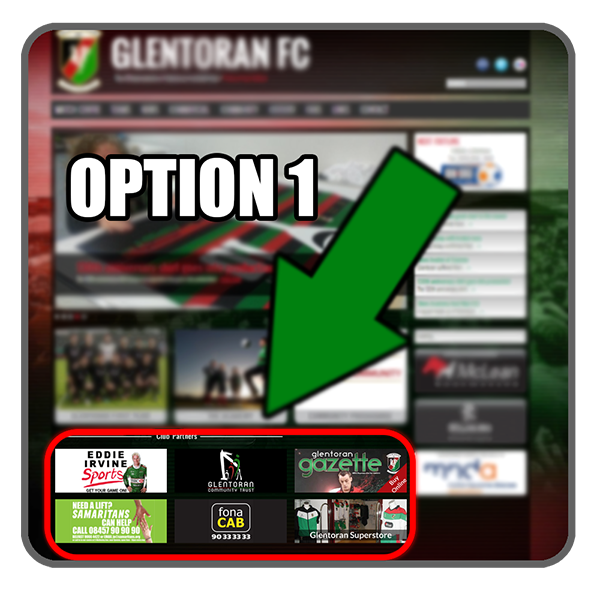 As a website partner your ad will be placed on every page of the Glentoran.com website meaning if a user loads any page your ad will be seen. 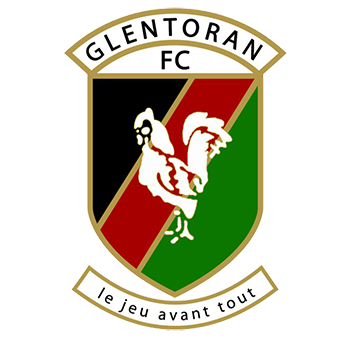 Glentoran.com regularly gets 2000+ page views per day. You will have exactly the same options as website advertisers in that you can have your ad linked anywhere you wish, your website, email, Facebook page etc. Ads can also be published on the Glentoran facebook and twitter accounts. Prices for the full season are negotiable depending on your needs. Contact Webmanager@glentoran.com or commercial@glentoran.com for more information or to place an ad. Ads can be designed for your company free of charge for placement on the website.